The New York dance ecosystem is big. It contains several distinct groups that usually maintain a safe distance from one another; the main ones being ballet, modern, and Broadway. Lately, there's been more mixing between them than in recent memory, and it's primarily ballet stars dipping their calloused toes into other ponds. Broadway shows now star the Fairchild siblings, NYCB principals Megan and Robert, as well as his spouse, Tiler Peck. A number of ballet dancers have hatched their own small troupes to experiment with dance hybrid forms; they often employ their talented large company mates to perform (Troy Schumacher, Michele Wiles, Craig Salstein). 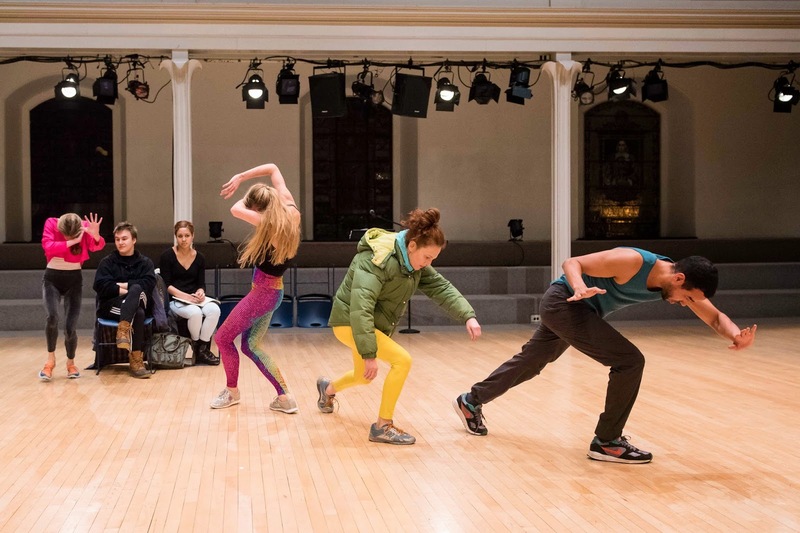 The most recent experiment began by Danspace Project director Judy Hussie-Taylor inviting critic/poet Claudia La Rocco to curate the space's spring platform, which is titled Dancers, Buildings and People in the Streets. A series of Dance Dialogues combine dancers from ballet and modern worlds. starts and fits, no middles no ends: 8 unfinished dances featured NYCB stars Sara Mearns and Sterling Hyltin paired with, respectively, Cunningham alum and independent success Rashaun Mitchell and Jodi Melnick, a luminous presence who has danced with numerous descendants of the Trisha Brown tree, including Brown herself, and choreographed as well. 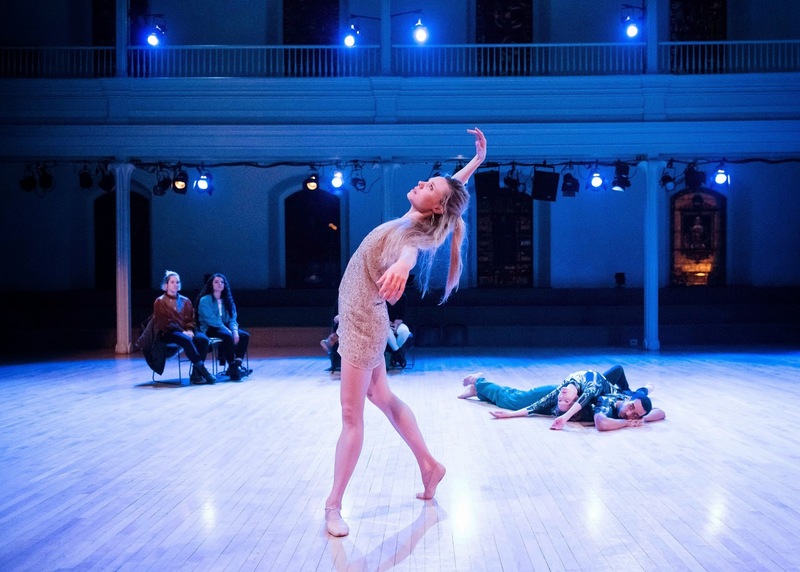 It was no surprise that given the venue—fertile turf for post-modern creativity—the ballerinas looked somewhat out of place at first, in warm-up type clothing (by Reid Bartelme) and sneakers. It was not until they moved in their own classical language that they seemed to relax, doing what they've trained their whole lives to do, and that includes not looking ungraceful or untrained. Melnick and Mitchell comported themselves as distinctively as they have in their own projects. Melnick's every move is purposeful and linked to her next; she rarely inserts breaks into what read as structured improvisations, but which are probably carefully choreographed. She maintains an alert but broad focus that never reads as a specific emotion, until she is coached by Hyltin to do so in a hilarious Somnambula coaching session. Mitchell did a masterful improv with four chairs hanging from his body. He is a rare combination of subtle and strong, at times nearly ruthless, as when he ran headlong toward one of the viewers sitting in the performance area. (Two of these viewers were a critic and choreographer who could not resist exchanging whispers during much of the early stages of the performance, and by their location became chatty set pieces.) And—huzzah—he was asked only once or twice to support his female collaborators, two of whom spend a lot of time being lifted or steadied by men. Mearns is the moment's leading ballerina. Her utter abandon and emotional outpouring in NYCB performances are made possible by her technical prowess, without which she couldn't be free to communicate all that she does. She is fearless and emotionally giving in the many ballets in which she now stars. Stripped of distance and formality, she became even more human. She walked without grace—like a Neanderthal, as a viewer behind me put it—particularly in her first costume of sneakers and multi-colored workout tights. When she changed into a sparkly beige romper and soft ballet slippers, she took on several layers of glamour that more typify her presence. She flashed her split extensions, shapely feet, and pliable back, releasing into a deep back arch with a slowly blossoming port de bras. She had transformed from ape to angel, grinning with happiness. Hyltin is another radiant principal, quicksilver and delicate in her ballet roles. She seemed reluctant to diverge from ballet steps during improv sections, quoting some Balanchine here and there. One of her costumes, a short leather circle skirt, felt odd. But she hit her stride while coaching Melnick as La Somnambula, a NYCB rep staple. After Melnick stole the show by responding exaggeratedly to Hyltin's spoken notes—"more pain, now bump him," evoking a moan and a hip check—the ballerina demonstrated the proper way, and why she is a highly respected and beloved dancer. These are fun experiments, mixing and matching modern and classical stars to see what results. It humanizes the mythic ballerina, and reminds us of the numerous gifts of modern artists. It does raise a timeworn issue: is it right to give these international stars opportunities that any of a hundred under-exposed modern dancers might truly appreciate? But who can blame La Rocco for putting together these dream lineups.